The lanyard of choice when safety is the priority. 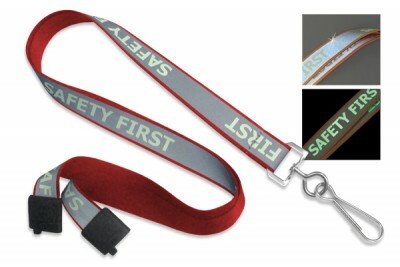 This UltraWeave break away lanyard with glow-in-the-dark/luminescent printing makes safety a priority. 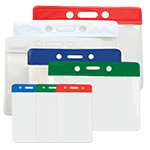 The overlay lanyard features a highly highly visible, glow-in-the-dark and reflective "Safety First" message. 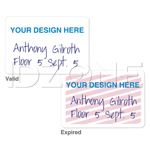 The message is printed in a luminescent silkscreen onto the lanyard. 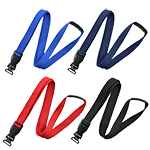 This feature of the lanyard makes it ideal for dark work environments like airports and roads. 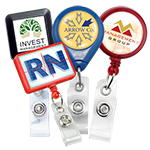 This safety lanyard comes with a break away clasp that releases quickly in an unsafe situation. 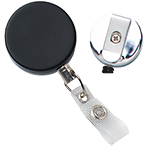 The UltraWeave break away lanyard is finished with a swivel hook that makes attaching badges or access cards simple. 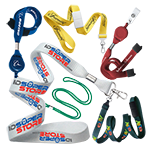 The safety lanyard is available in different colors.